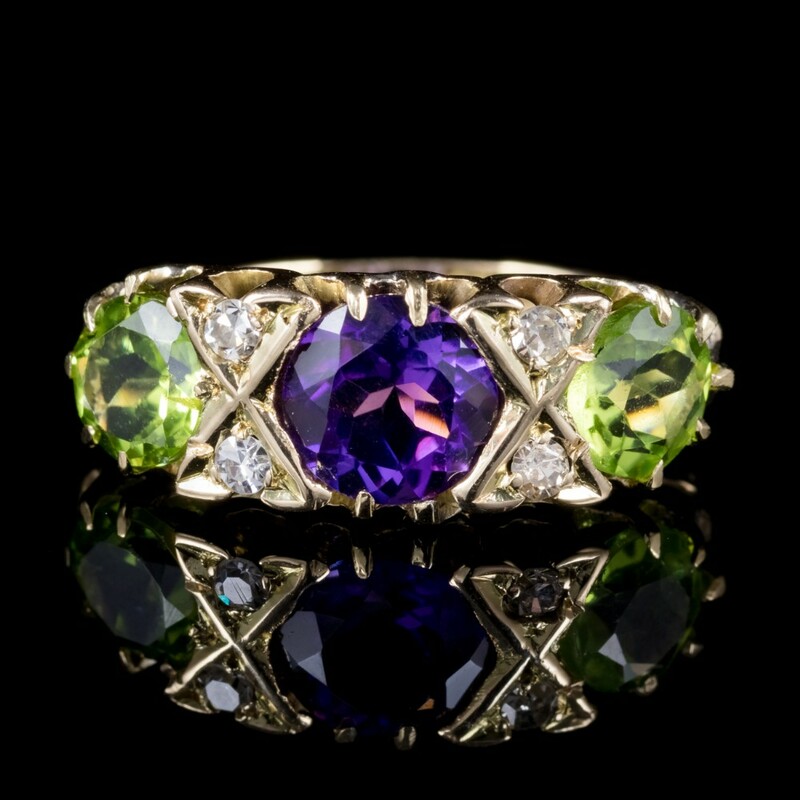 A spectacular antique Victorian Suffragette ring adorned with a large 1.70ct Amethyst, four 0.05ct Diamonds and two 0.75ct Peridot’s. 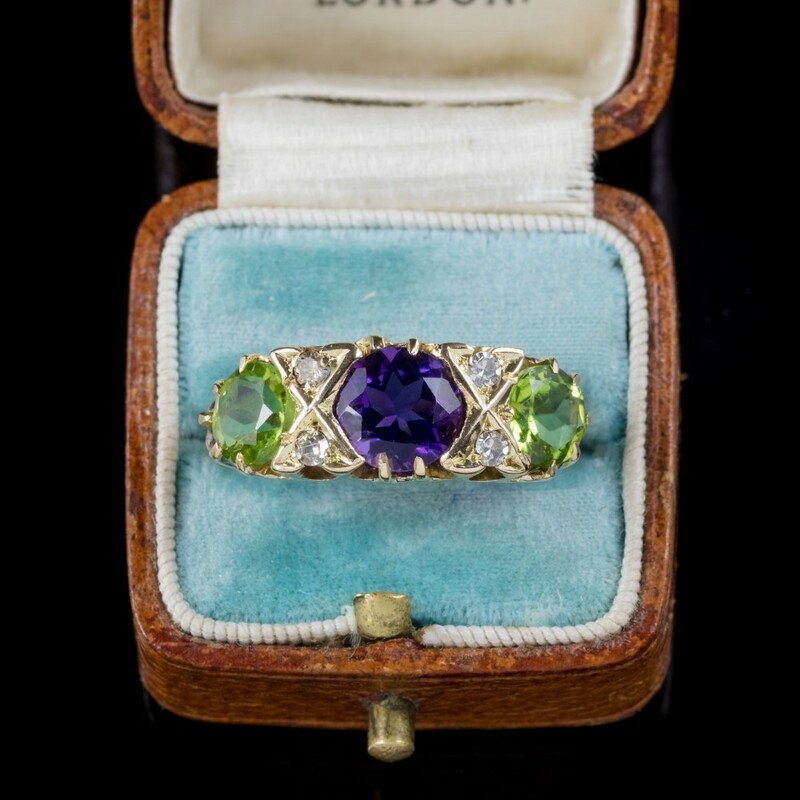 Suffragette jewellery was worn to show one’s allegiance to the women’s Suffragette movement in the early 20th century and popularly consisted of Violet, Green and White colours which carried the message: Green for Give, white for Women and violet for Votes! 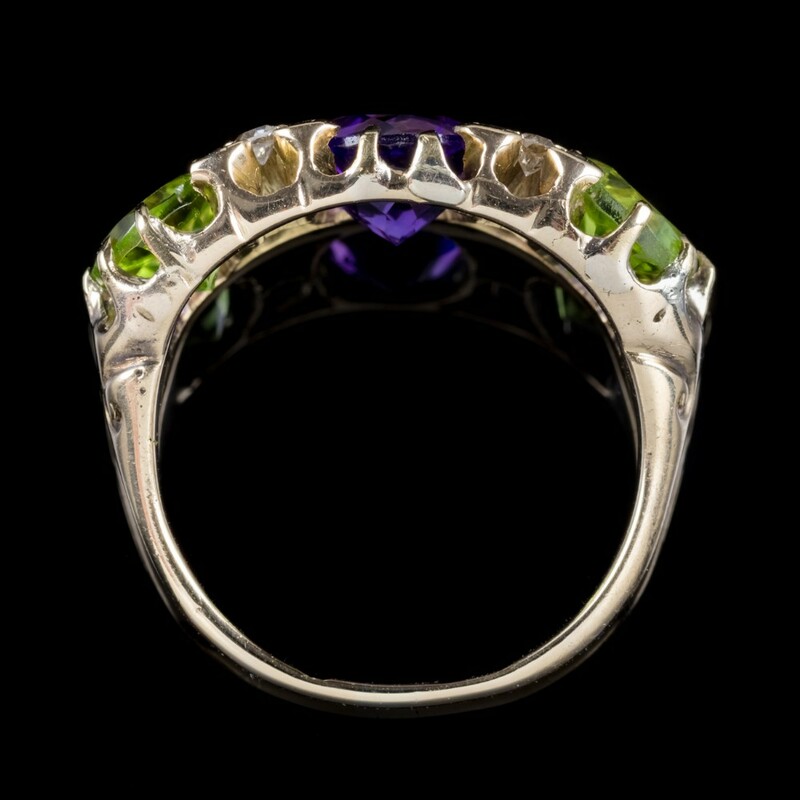 The gallery is all 18ct Yellow Gold and complete with hallmarks inside the shank. 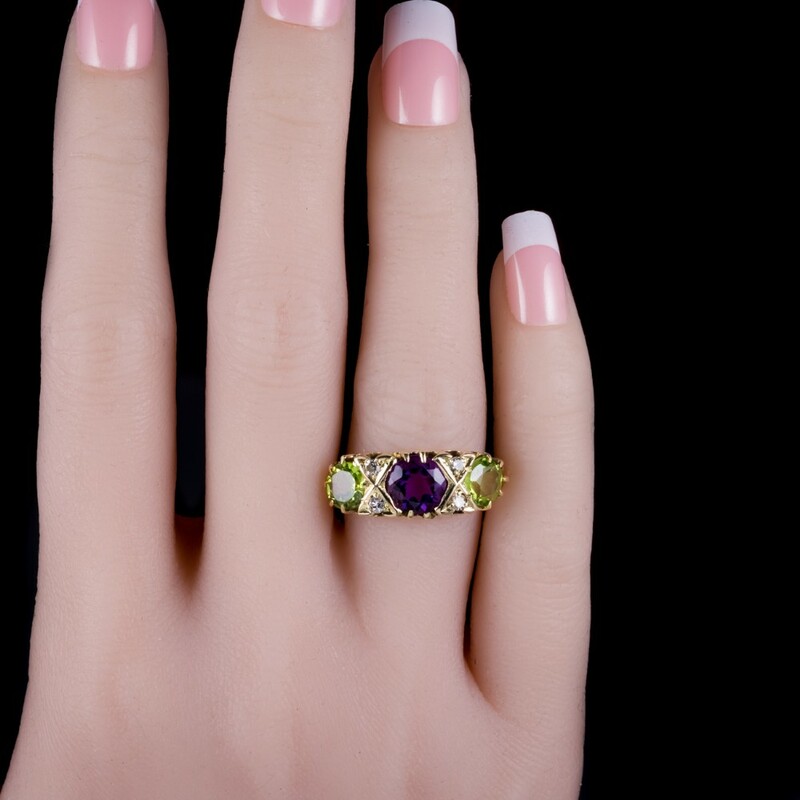 The ring is truly outstanding and boasts beautiful gemstones. 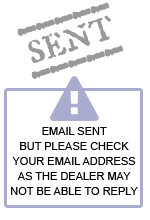 We recommend you insure for £2995, We can provide a written Valuation on completion of the sale. 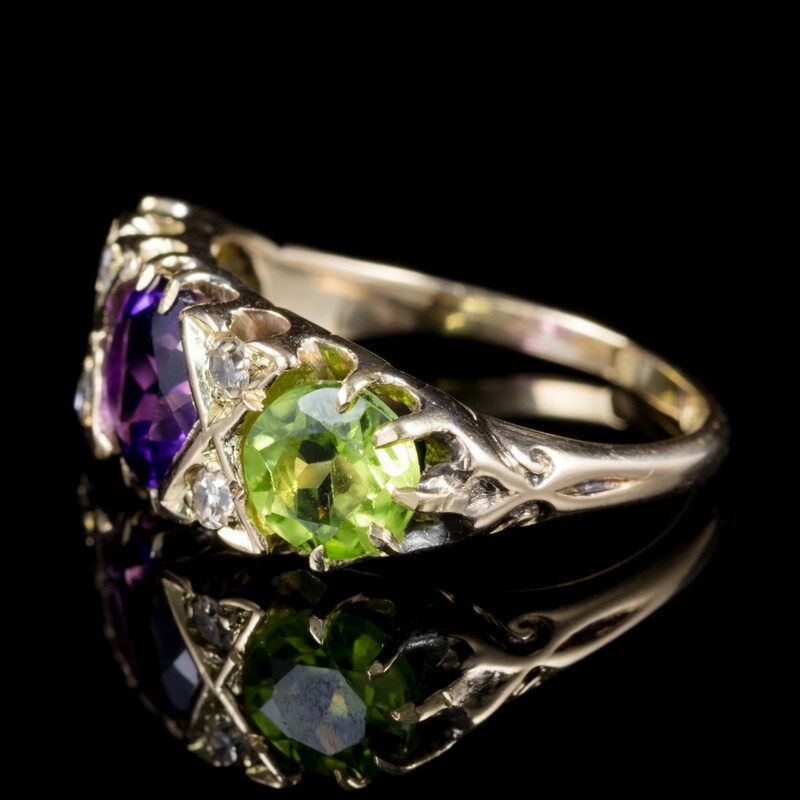 MEASURES: O ½ in the UK or 7 ½ USA - Can be sized, we offer this service for free, it takes approximately one week. 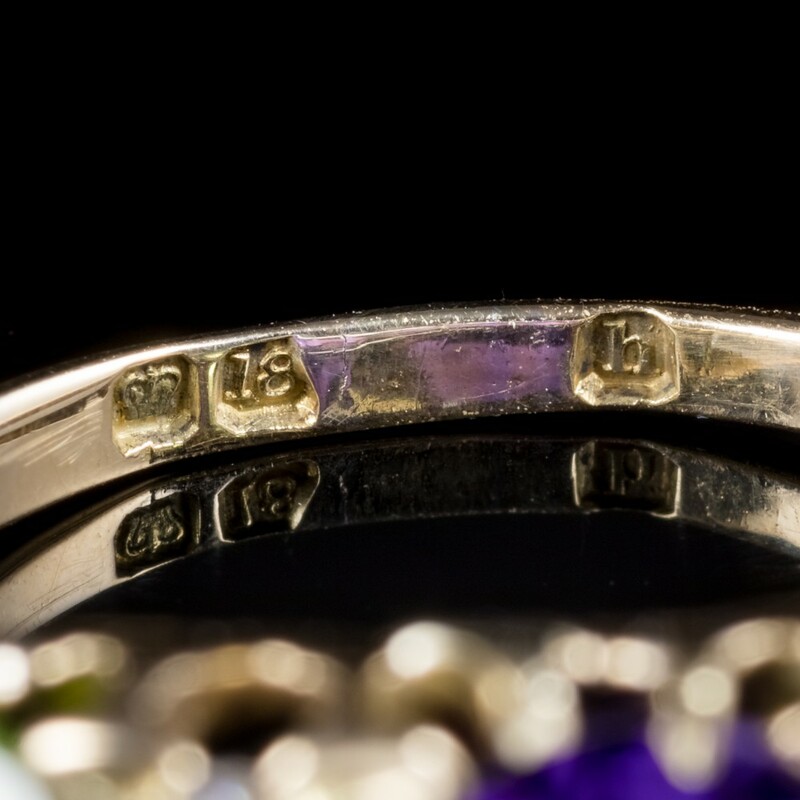 MARKS: 18ct stamp, possible London 1901 hallmark. 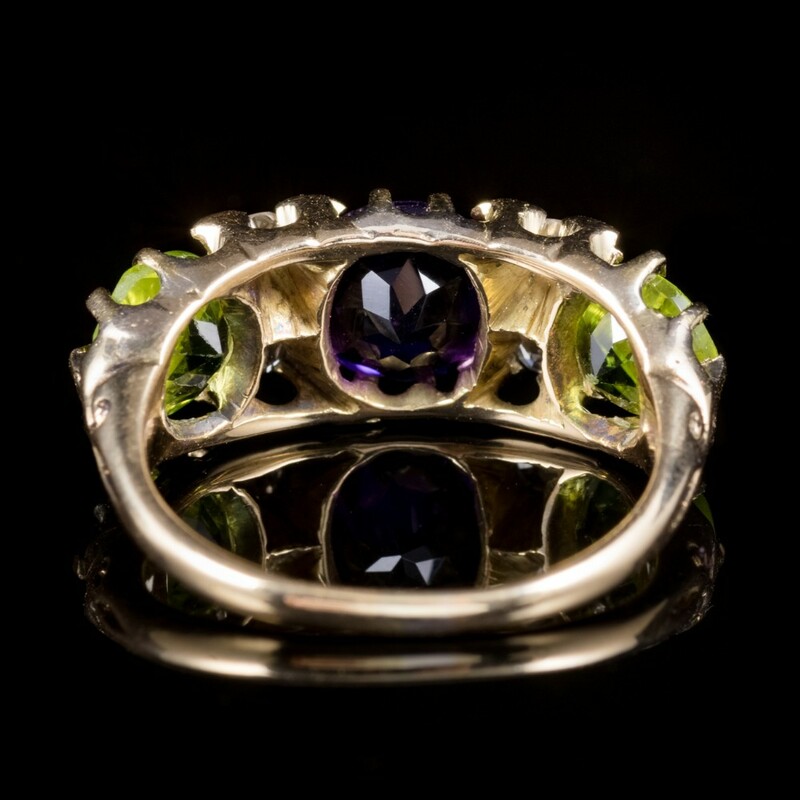 The Antique 18ct Gold Suffragette Victorian Ring Circa 1900 has been added to your saved items.